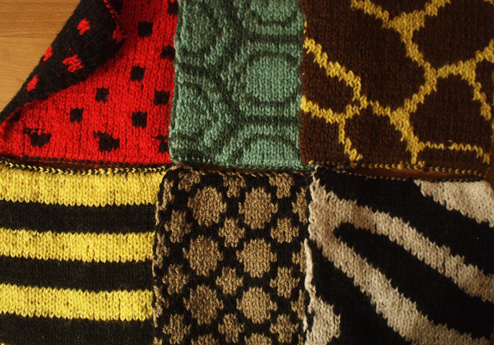 This entry was posted in Knitting and tagged animal print, bee, blanket, crocodile, double knitting, free knitting pattern, giraffe, ladybird, leopard, project, snake, square, tiger, tortoise, zebra. Bookmark the permalink. Thank you for the animal print patterns! They are so hard to find. You did a wonderful job with all the patterns. Thanks Christine, I was trying to find animal patterns myself but wasn’t happy with anything I searched for so decided to make my own! 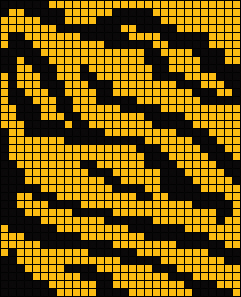 I love the zebra print pattern any chance you have this in a pattern for a knitted zebra adult hat (beanie)? Cast on 90 stitches onto 4mm needles (DPNs or circular), join for knitting in the round. Continue decreasing until there are 24 stitches left on the needle. 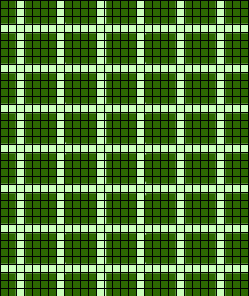 Next three rounds decrease every row. When there are 6 stitches left pull the wool through the remaining stitches and finish off!